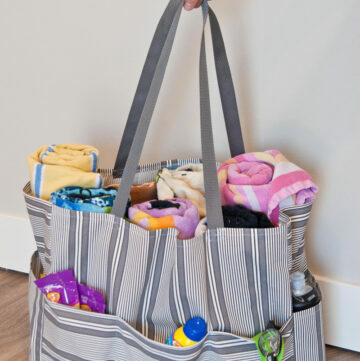 Have you noticed all of the round bags popping up everywhere lately? 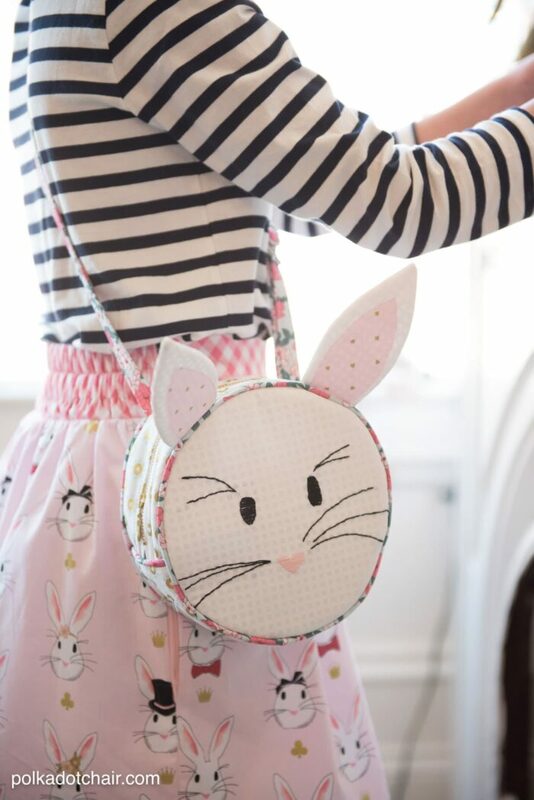 If you’d like to make your own I’ve created a round bag sewing pattern called the Alice Bag. 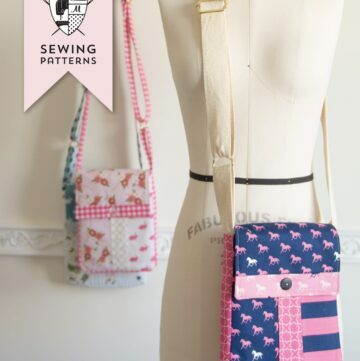 Today I’m going to be answering some of your most frequently asked questions about sewing the bag. 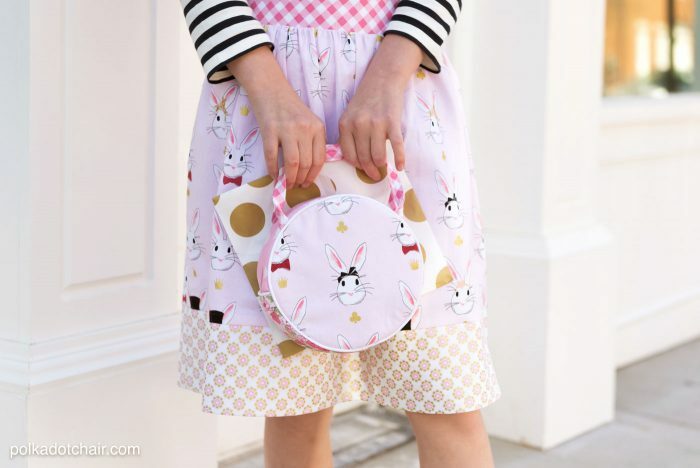 Since I released the Alice Round Bag Sewing Pattern last week I’ve received quite a few emails, many of them had the same questions, so I thought I’d address many of them in a FAQ post! Before we get to the questions, I thought it would be fun to share with you some more photos of the Alice bag. 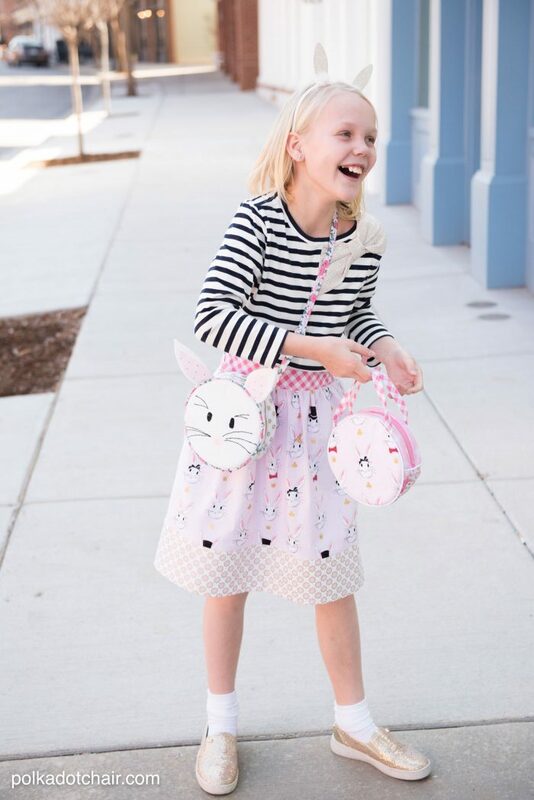 Last weekend I “borrowed” a friend of mines daughter to model the bag for me. Her mom was even sweet enough to make her a matching skirt. 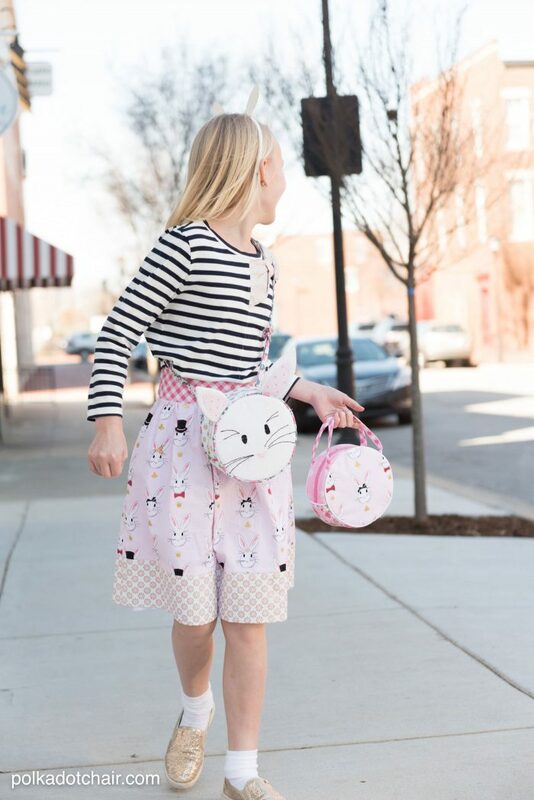 The skirt pattern is my “In be- TWEEN Skirt Tutorial” that you can find on my site by clicking here (it’s free). It’s a great skirt for an older girl because it is less full than many other skirt tutorials. It also features a side zipper, after my girls were about 10 years old I noticed that they needed zippers in their skirts, the elastic only waistbands were just too hard to deal with. We popped into my friend Gretchen’s shop, Lulubelles (find her on instagram @lulubellesboutique). If you’re in the Louisville area, make sure you check it out! 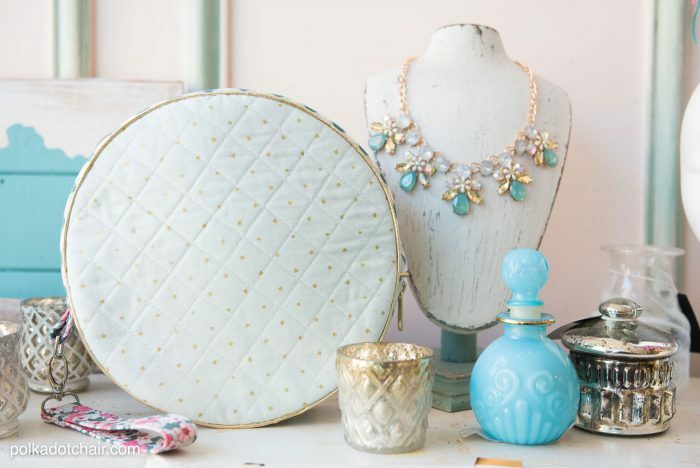 She’s in Norton Commons and the shop is full of amazing accessories, gifts, and clothing. 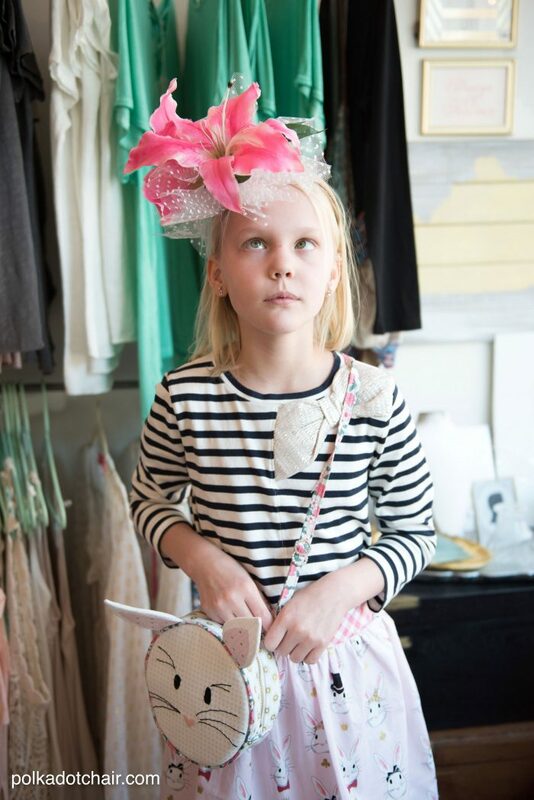 She will have lots of Derby hats, fascinators, accessories and dresses this year too! 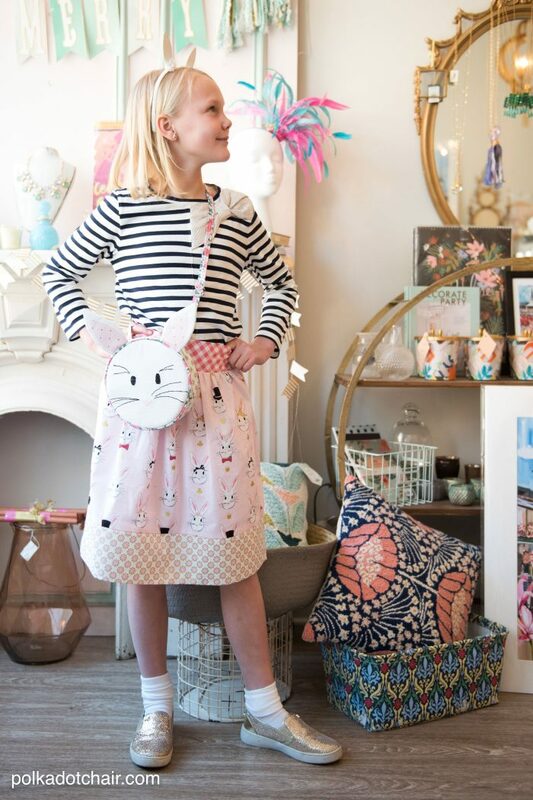 This is a shot of the larger size Alice Bag on a shelf in her store. I think I should have bought that necklace! It goes perfectly with my bag! 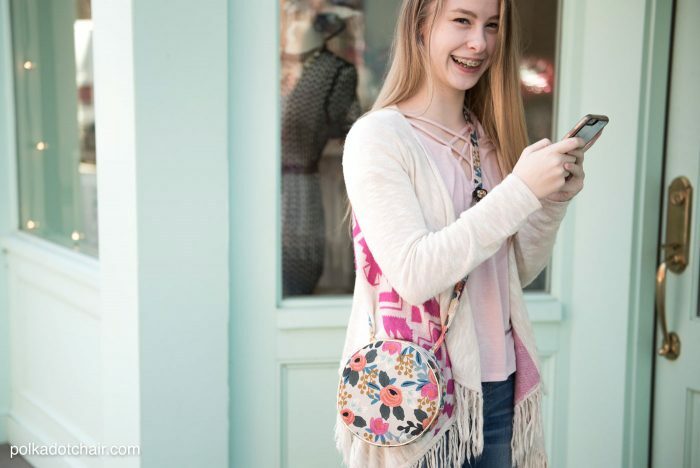 I also wanted to show you that the bag works equally well for teens and adults. I asked my almost 16-year-old daughter to pick out some fabric from my stash that she thought would be good for the bag. She picked out this Cotton + Steel canvas fabric, and I think the bag turned out so cute! The canvas gives the bag a fun texture and I love the contrast of it with the gold piping on the bag (I got the gold piping at Hobby Lobby). 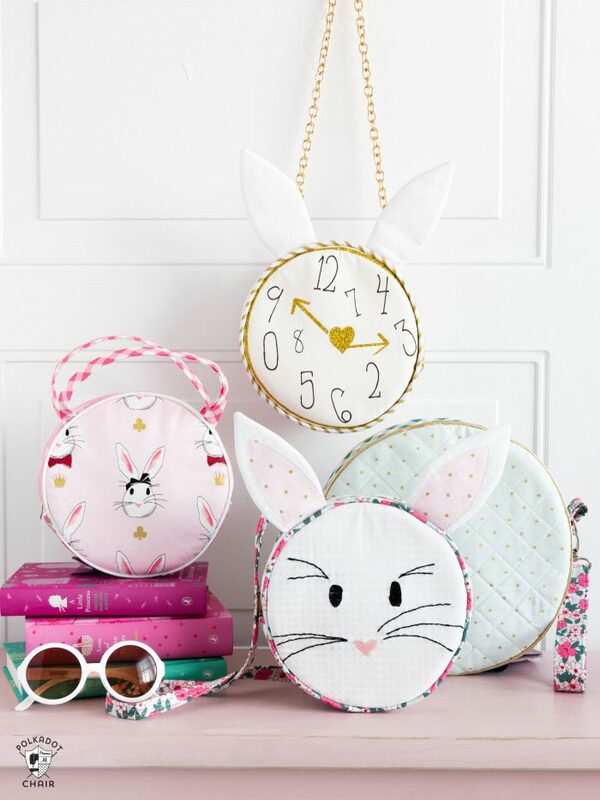 Question: Is it hard to sew a round bag? I’m intimidated by the piping on the front. A- Personally I don’t think it’s hard to sew a round bag, or at least, not any more difficult than sewing a standard bag. 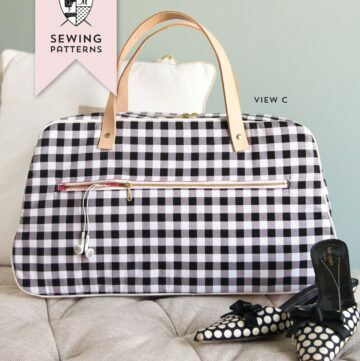 I’m going to share with you one of my very favorite sewing tips. 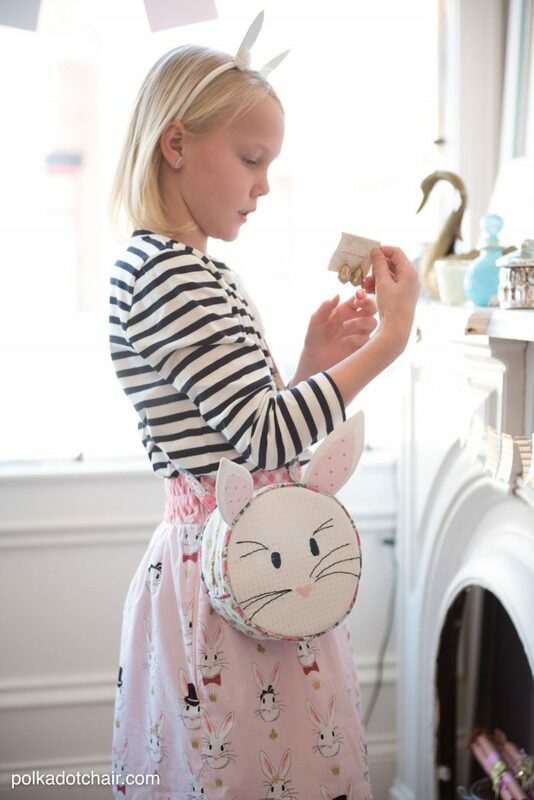 When you sew with piping, if you attach it to your project in the correct place the first time you stitch it down, your finished project will look great! You see the trick with piping is to keep sewing over the SAME SEAM over and over again. 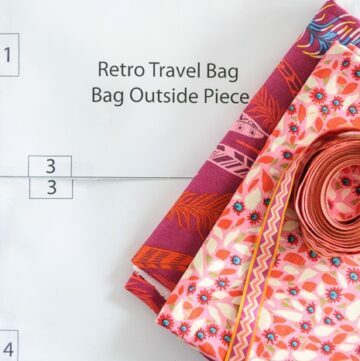 So if you take your time and stitch down your piping right in the beginning, you know that when your bag is done, that the piping will be in the correct spot on the outside of the bag. Also, the piping is actually the “trick” to getting the round bag to stay round as you sew. Just keep stitching over the same line and your bag stay round during the entire construction process. You may be tempted to leave the piping off, but it actually HELPS. For more info about sewing piping just CLICK here to read the post that I wrote all about working with piping. 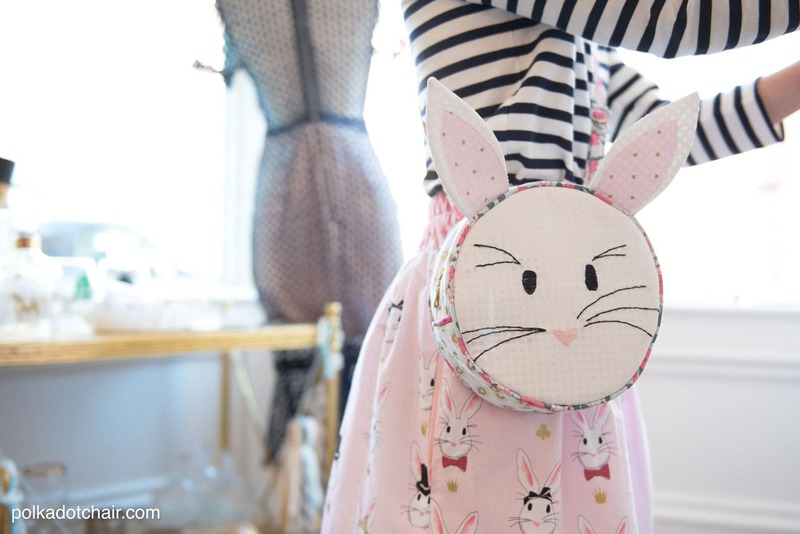 Question: How did you get the bunny face on the bag? I traced the embroidery pattern (included in the pattern) onto a square of white fabric and hand embroidered it with a simple back stitch. I don’t have mad-crazy embroidery skills, and I’m here to tell you that this step was not difficult. 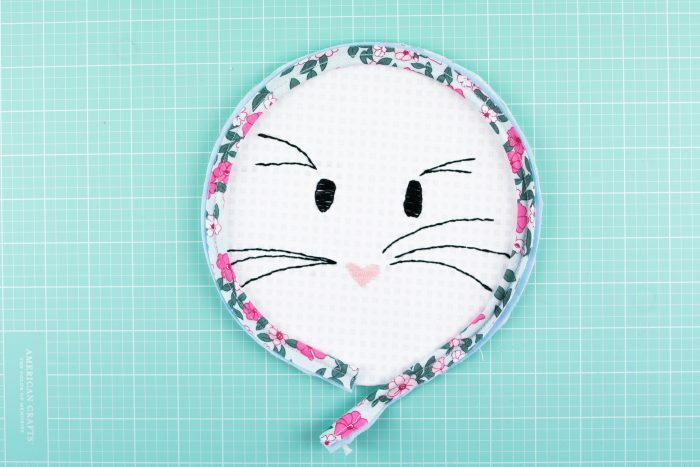 You can also print an image of the bunny face onto high-quality printable fabric (it’s in full color on the PDF) if you don’t want to embroider. The same applies to the clock face. Question: What size are the cross body straps? There is a small size (suitable for children) and a large size, that fits me (I’m 5′ 9″). If you do make the cross body bag for a child, just know that a long strap can pose a choking hazard. Question: Where did you get the chain strap? I ordered it on Amazon, here is the link to the chain strap that I bought. 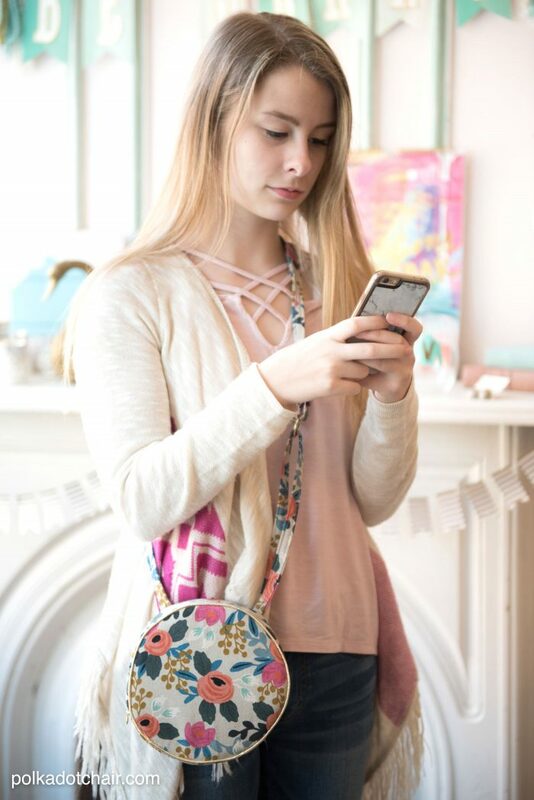 Question: Can you make the larger size bag with a cross body strap? or the small bag with the detachable wristlet? Question: Is the bag lined? Yes, the bag is fully lined. The lining seams are finished with bias tape. Questions: Are there plans for more “ears” in the future? Why yes! I plan on offering free updates to the pattern throughout the year, you’ll be able to download them for free on my blog. I’m working on an addition right now that I can’t wait to share with you! Plus there will be a pattern “supplement” for sale very soon that adds instructions for backpack straps and more. Q- Will this pattern be available as a paper pattern? Yep! It’s for sale now and you can order it wholesale if you have a shop. 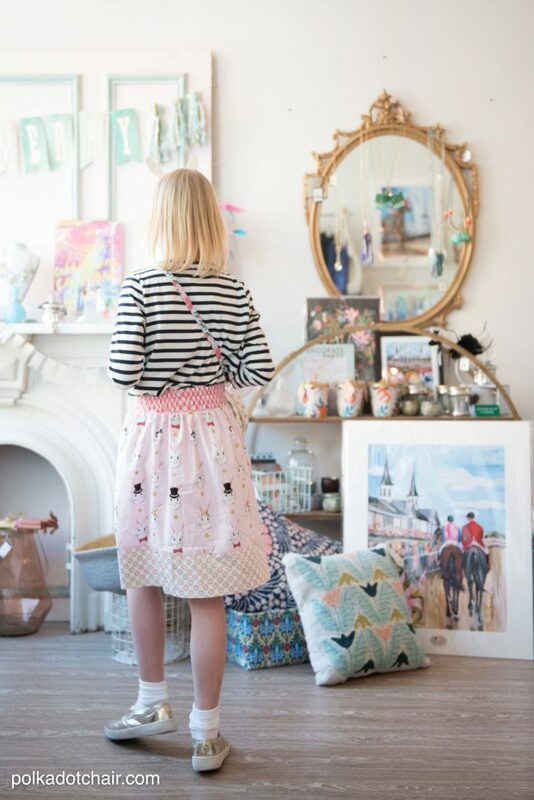 If you’d like to buy the pattern you can just CLICK HERE to take you to the shop. You will be emailed a link to download the pattern after you complete your purchase. International buyers need to use Etsy for tax purposes. Just click HERE to go to the etsy shop. I think that covers the questions pretty well, if you have more, just leave them in the comments section and I’ll answer them there so that everyone will have the benefit of the answers. Here are a few more photos from our shoot last weekend!